Lightweight, beautiful and functional: The Berthoud saddlebags are banana-shaped to optimize the space under the saddle without getting in the way of your pedaling legs. They are sewn from the same waterproof cotton with durable leather edging as other Berthoud luggage (tan edging; black edging is tough Nylon). These bags have proven themselves for decades over hundreds of thousands of miles. Attaches to the saddle rails with a toestrap (included). Also available with KlickFix attachment for Berthoud saddles. Available in the classic blue-gray color, in black with tan leather edging, or in the black-on-black. All colors develop a nice patina over the decades. 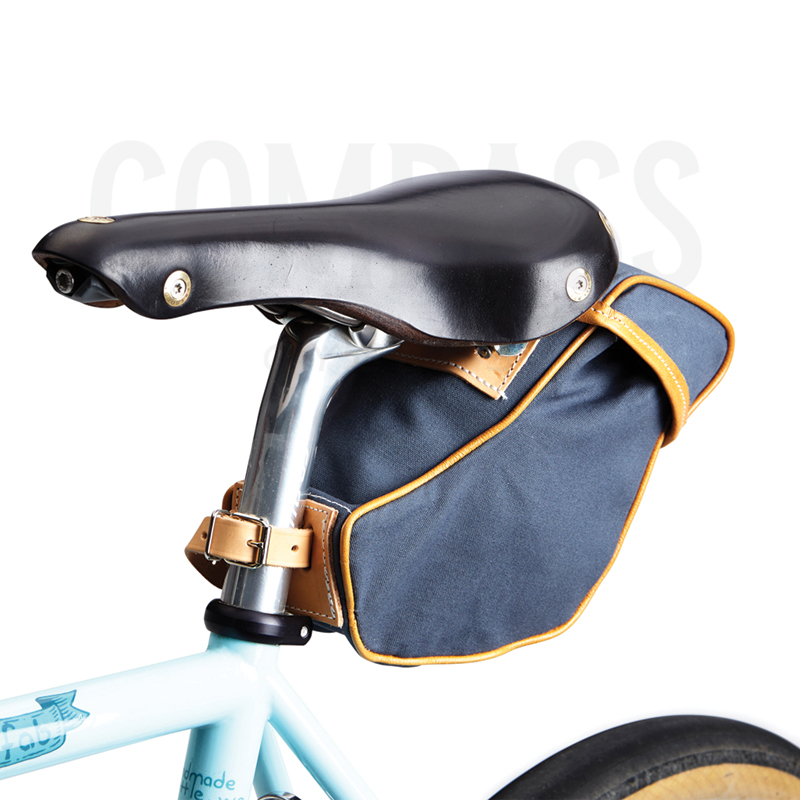 Berthoud continues to make the classic Sologne handlebar bags. With more than 50 years of experience, their bags are sewn in France by hand from waterproof cotton, and edged with leather (tan edging only). These traditional materials work well, keeping the contents dry even during a rainy 50-hour ride in Paris-Brest-Paris, and they are lighter than most “modern” materials, too.